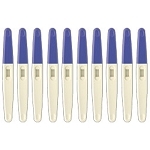 We offer high quality midstream pregnancy tests that are manufactured to meet the highest quality standards in Canada. 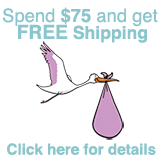 Our ultra sensitive pregnancy midstream test is 99.9% accurate. Unlike a pregnancy test strip, midstream pregnancy tests are used during urination and a specimen is not collected using a specimen cup. Our midstream pregnancy tests have a hormone level detection rate of 10 mIU/ml, and are the most accurate and sensitive systems available. Detection results can be expected within 6 – 8 days, and the sensitive midstream test can provide results within 3 days of conception. These are high-quality midstream tests, the same as those used in hospitals, clinics, and doctor's offices across the country. You can be assured that these Canadian manufactured tests will yield the most accurate and dependable results.